You never know if and when something will happen — whether it’s a big catastrophe or something less destructive – so you need to be prepared! It’s essential to choose the right company, the right price, and the right coverage for your specific situation. Keep in mind, homeowners insurance is really a collection of different kinds of coverage such as fire, theft, liability and windstorm wrapped up into a single policy. How Do You Determine Coverage? Your coverage should be based on the square footage of your home, but it must also factor in how much it will cost per square foot to rebuild in case of disaster. The costs to do so in this area are higher than the national average, so go a little higher than your insurance company may suggest. Your insurance company will most likely require you to purchase coverage that insures 80% of the replacement value of the home. Be sure to take into consideration everything that you have inside the home, which will also need to be replaced in the event of disaster. Get current information about what your home is worth today, and how much it would cost to rebuild it. Again, you may want to go higher to reflect the DC area’s average costs to rebuild. Make sure that your deductible is set at a price that you can afford in the event that you must rebuild or do extensive repairs to your home. If you’ve got a special art collection or a home office with equipment and supplies, you should be sure to let your agent know so that they can inform you about any additional riders that might be necessary. In the DC area, you might not need flood insurance, but talk to your agent about coverage for flooded basements that tend to occur in this area. 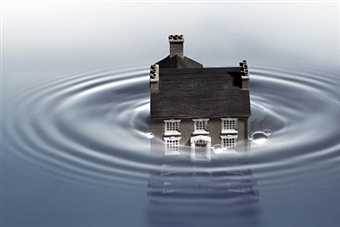 Being covered for a flood in your basement is different than having flood insurance. Talk to your insurance agent about the difference and make sure you’re covered if you end up with water in your basement, which is unfortunately very common in this area. For current homeowners, meet with your insurance agent to discuss what coverage you have now and let them know about any new home improvements or any new possessions that should be included in your policy. Your agent will come out and document these upgrades, take photographs, and let you know if you will need additional coverage.